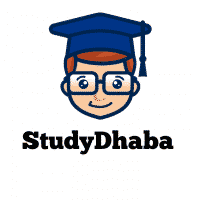 Ministry of Environment Critical Endangered Animal Species of India Pdf -Hello Friends Welcome to studydhaba.com .Here We are Sharing Ministry of Environment Critical Endangered Animal Species of India Pdf . According to the Red Data Book of International Union for Conservation of Nature (IUCN), there are 47 critically endangered species in India (as of 5 September 2011). The Red List of 2012 was released at the Rio+20 Earth Summit . It contains 132 species of plants and animals in India listed as critically endangered.